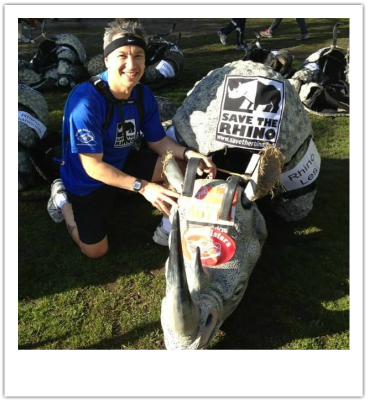 In 2016 Les dressed as a Stormtrooper and ran the Great North Run raising over £700 for Diabetes UK he completed the hot course in just over 2hrs, he enjoyed it so much he intends to run for the same charity in 2017! 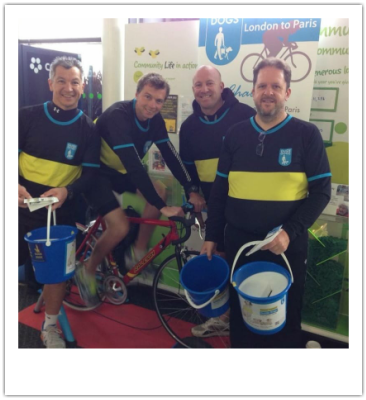 In 2013 a group of 25 "Slinn Allstars" cycled from London to Paris in 4 days raising money for the "Guide Dogs for the Blind "charity , over £6k was achieved which was enough to get a puppy into the training program the dog is aptly called "Froome"
Always one to push himself in 2012 Les ran the London Marathon dressed as a Rhino finishing in time of 5hrs 29 min raising over £2k for the "Save The Rhino" Charity.
" Les ran the London Marathon in 2011 for Swindon Down Group and Swindon Therapy Centre for MS raising over £5k in much needed local funds. 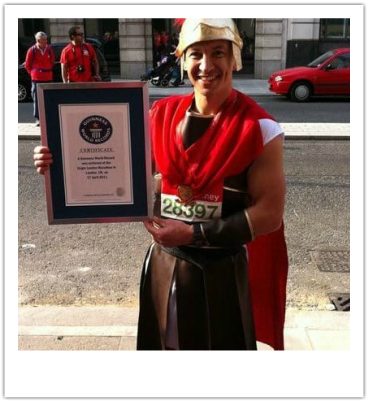 Also in the process Les managed to gain a Guinness World Record, he was the fastest person to run the marathon dressed as a Roman Soldier!" 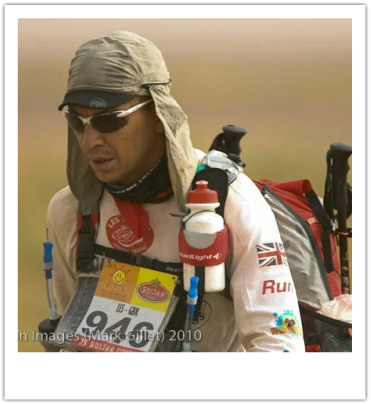 ​"In 2010 Les completed the Marathon Des Sables (MDS) running 6 marathons in 6 Days across the Sahara Desert in temperatures of over 40 degrees. Having to carry all food, water, clothing and equipment during the race this is Les toughest event. The main reason for taking part in the race was to raise money for Swindon Down Syndrome group , Swindon Therapy centre for MS and Twigs Charity"